Before the holiday season got busy, I wanted to gather a few of my friends to have an opportunity to spend a sunny Saturday morning catching up on life, family and travel plans. 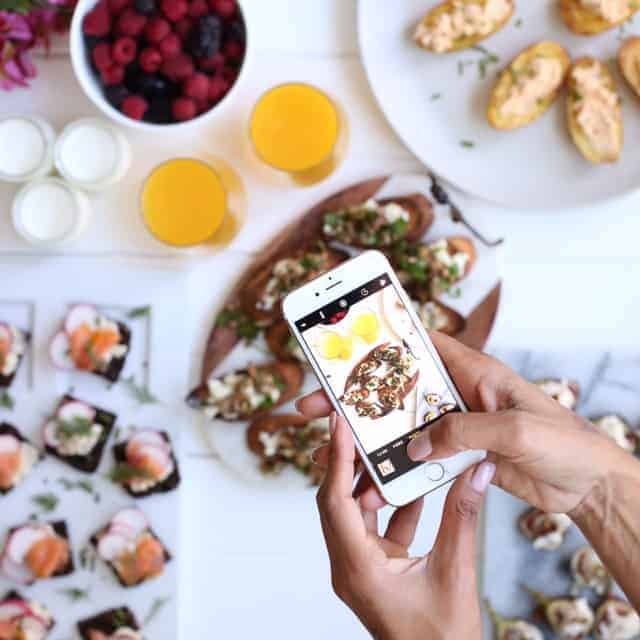 If you follow my weekend posts on Instagram, you’ve seen that brunch is something I feel passionate about. 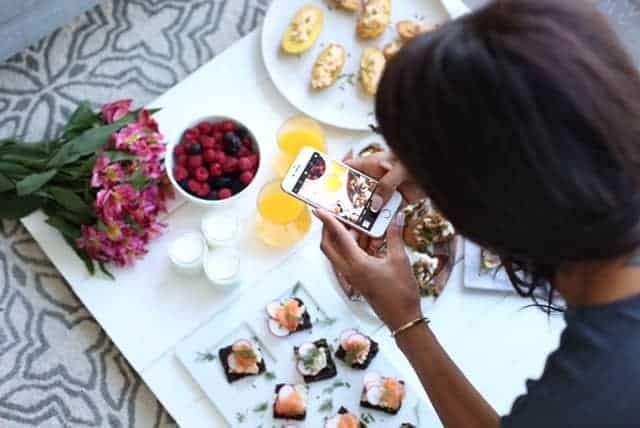 The main reason being, that sharing food you’ve made with people that are dear to you, is one experience that makes your soul grow with gratefulness, especially when surrounded by women that I have so much admiration for. 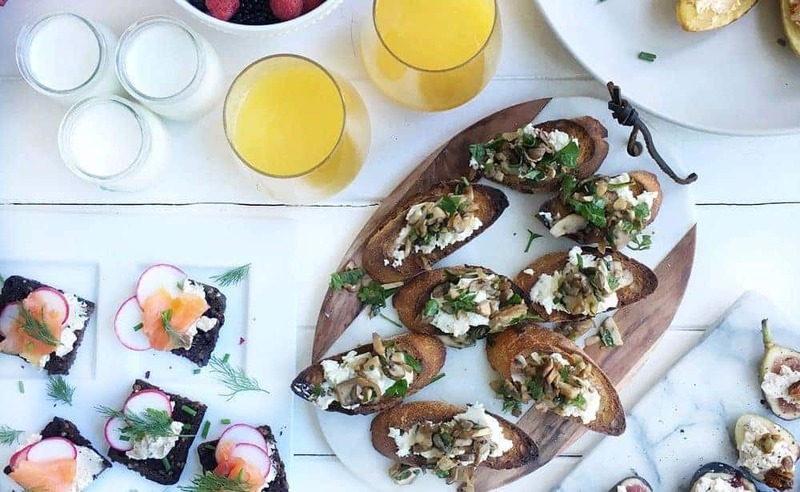 Lemon mushroom crostini with shallot and chive Boursin, paired mixed mushrooms, on thick slices of toasted baguette. The perfect ingredients to have with Boursin Shallot & Chive. I might soon be having this again and making it a meal with eggs and avocado. We also had Boursin Cranberry & Pepper with figs and pepita brittle. This was a match made in heaven. 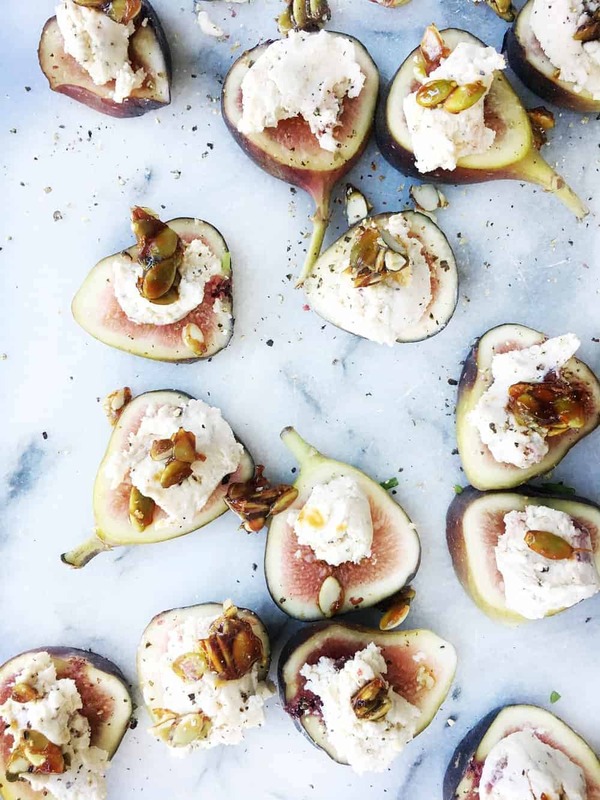 Cheese and figs go so well together and what made this appetizer even better was the pepita brittle, adding layers of texture and flavour to what has now become my favourite appetizer for the holiday season. Next came potatoes stuffed with Boursin Red Chili Pepper. Pairing rosemary sautéed fingerling potatoes with the spice of the Boursin Red Chili Pepper was a definite win. Lauren thought so 🙂 You could top the potatoes with Caviar, or if you eat meat, with bacon. Our last appetizer was smoked salmon canapés with Boursin Cracked Black Pepper. 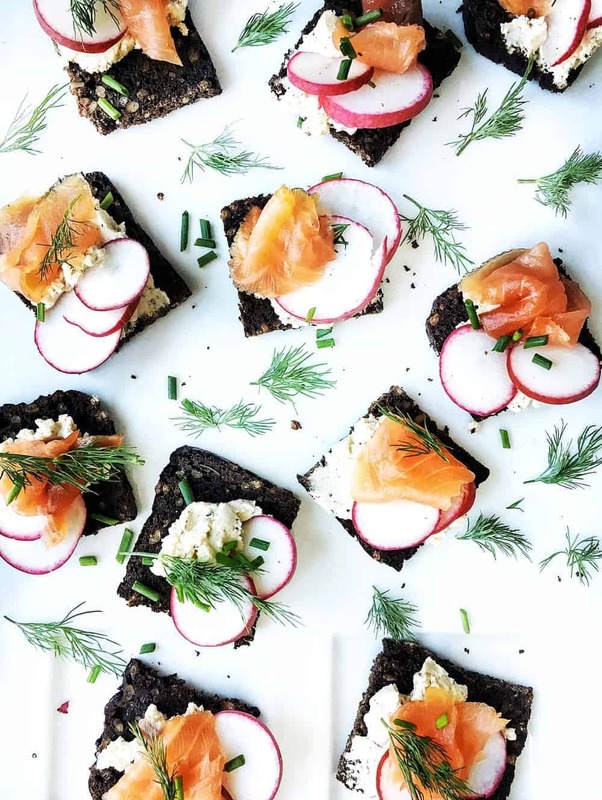 The base of this appetizer is pumpernickel cocktail squares to be topped with radish slices, smoked salmon and dill, along with the cheese. 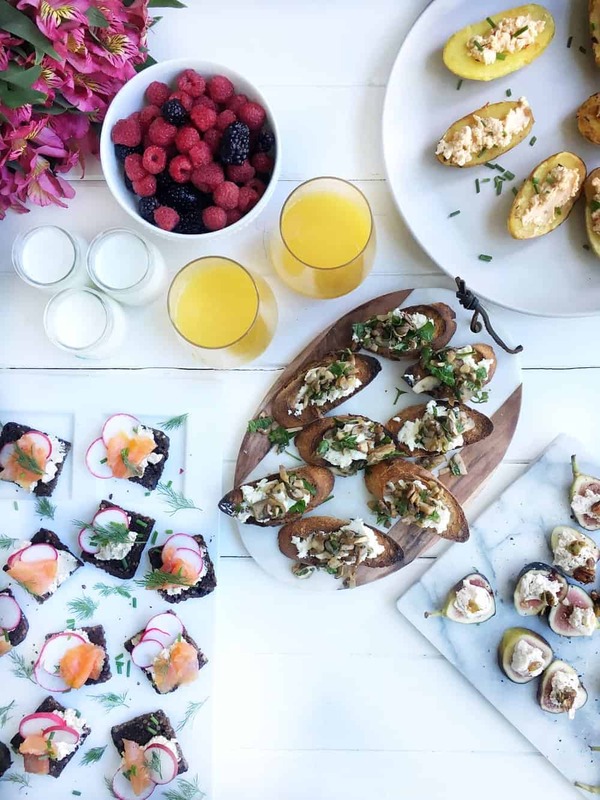 This one is at the top of my list to make again for a family brunch in a few weeks. Place 2 radish slices on each pumpernickel square. Spread with 1 tsp Boursin®. Top with smoked salmon and pea shoots. As the holiday season is here, take some time to gather your friends and show them some love. 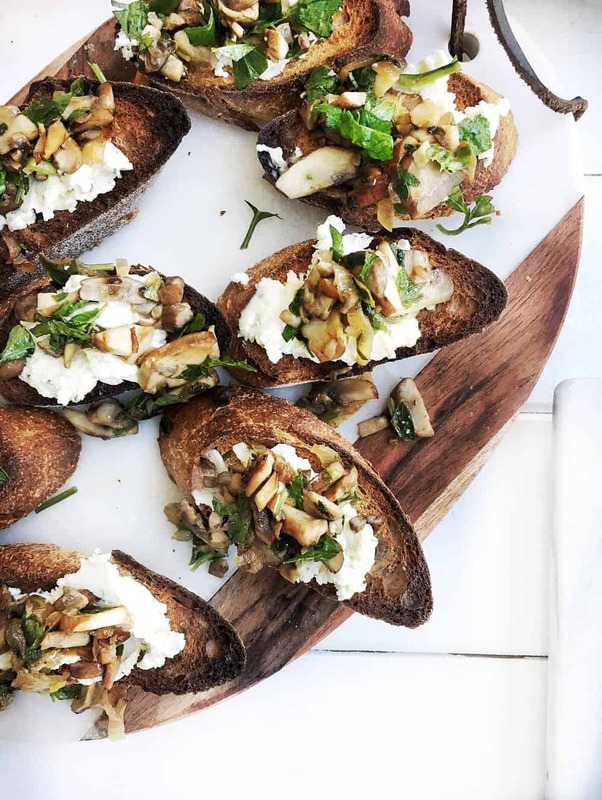 These appetizers will have you covered. Tasters & Testers Logo Disclosure: As a Chatelaine Taster & Tester, I received compensation for participating in this Boursin Cheese program, however all views are my own. 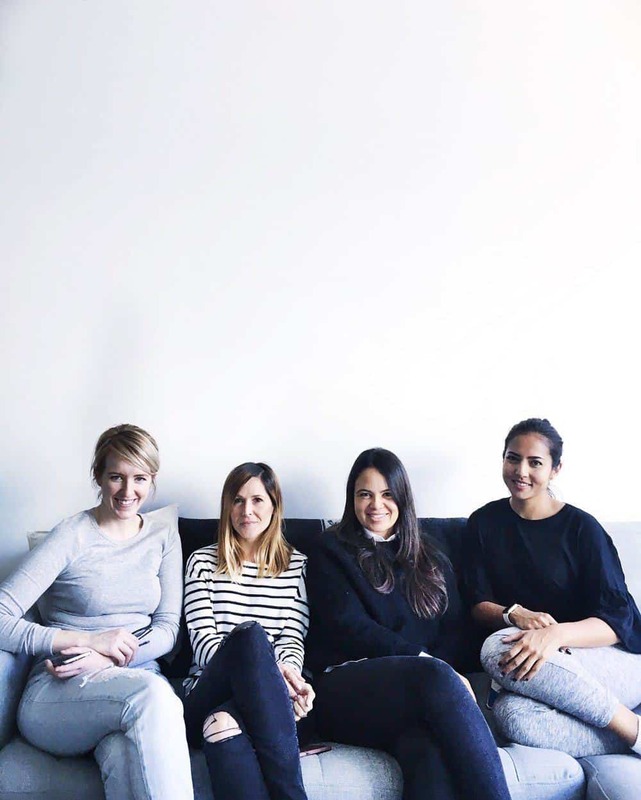 Special thanks to my friend Lauren for her hospitality, and to Ana, Meghan, Gaby, and Candice. Thanks for the such a great Saturday morning. Next Article Next post: Friday’s pizza night!